Despite of popular belief, not all of Earth’s flora and fauna had been wiped out on the Day of Purgation. In an area protected by volcanic mountain ranges, some extremely tough plants survived the cataclysm, and continued to grow in the hostile environment left in the wake of the Purgation. This almost unnatural growth was centered at a mysterious spring, giving life to a wide range of strange new species of plants. By the time the very first human explorers discovered it, the area was already sparsely covered with vegetation, but the explorers were so used to the dry wastelands and ruins of the Old World that they saw a lush oasis, nourished by the very source of life. They saw hope for a new beginning. The news of a natural paradise left on Earth spread fast in the Capital. The explorer party that had discovered it formed a group called the Harmonists, driven by the idea of restoring nature as it once flourished on the planet. The Harmonists were rapidly growing in numbers, and during the Exodus, they seized the opportunity to leave the Capital and set off to the fabled paradise. These first inhabitants dreamt of a society where everyone was equal, and humans lived in perfect balance with themselves and the surrounding nature, respecting other life forms just as much as their own. They named their new settlement Wellspring, and soon started to refer to themselves as the Path of Harmony. The idea created a nation that lives in harmony with its natural environment - literally in symbiosis with special plants cultivated from the autochthonous flora. As the plant species growing around Wellspring had been completely unknown to the Old World, the Path’s biologists started to believe that they indeed are new forms of life. Fascinated by how fast living beings were capable of adapting to the new conditions, the cult of Mother Earth was slowly reborn. The belief only grew stronger as the Path’s scientists got to know more and more about the nature of these plants and their potential. 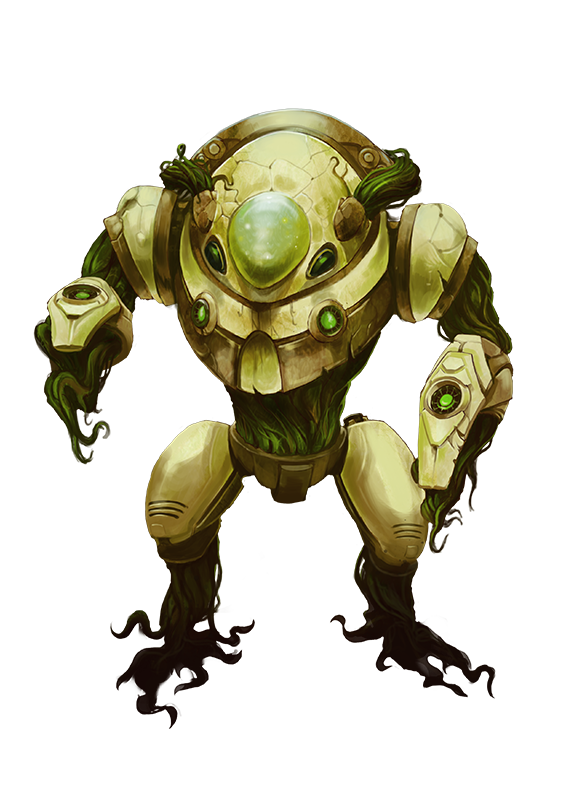 It took decades for the settlers of Wellspring to establish a safe haven, but as they kept achieving breakthroughs in the fields of botanics and bioengineering, the speed of progression grew exponentially with the help of the new species they discovered and successfully gene modified for their purposes. Talma, the Path’s symbolic, mysterious clambering plant grows upon the gigantic trellis dome raised above the city, creating an effective natural protection against the harsh outside weather conditions and the toxic atmosphere. The original trelliswork can still be seen at some points, but over the decades Talma grew so strong and intelligent that no substantiation or guidance is needed for her any more. In fact, she is constantly expanding along with the living space of the Path of Harmony. This is very fortunate and desirable, since the population growth of the Path is very intense due to the lack of birth control and the active sexual life they practice. Life always finds a way, they say, and that goes for their own reproduction too. Family is of high importance to them, but as their community lives in a very strong convergence, they handle each and every member of the Path as their own blood. Despite of the fact that everyone is considered equal in their society, their leaders are held in high regard. The Path is always led by a couple, the proverbial mother and father of the people living in Wellspring. The Matriarch and Patriarch are believed to be chosen by Mother Earth herself, therefore their authority is unquestionable. The mysterious election ceremony is held in the sanctuary built upon the vastly overgrown spring that once fostered Wellspring. The male and female candidates enter the Hall of Life and Death, a special chamber of the shrine. The exact details of the ceremony are shrouded in mystery, but most of the candidates do not return – some believe they wander off into the wilderness at the heart of Wellspring, others that they are sacrifices presented to Mother Earth in return for her generosity. Still, only two candidates, the Matriarch and Patriarch emerge from the shrine, with symbionts connected to their body. The Seeders are true masterworks of bioengineering, a craft the Path of Harmony is unmatched at. This huge walker is made entirely of polished titanium pieces, held together and moved by a host of domesticated Talma vines. 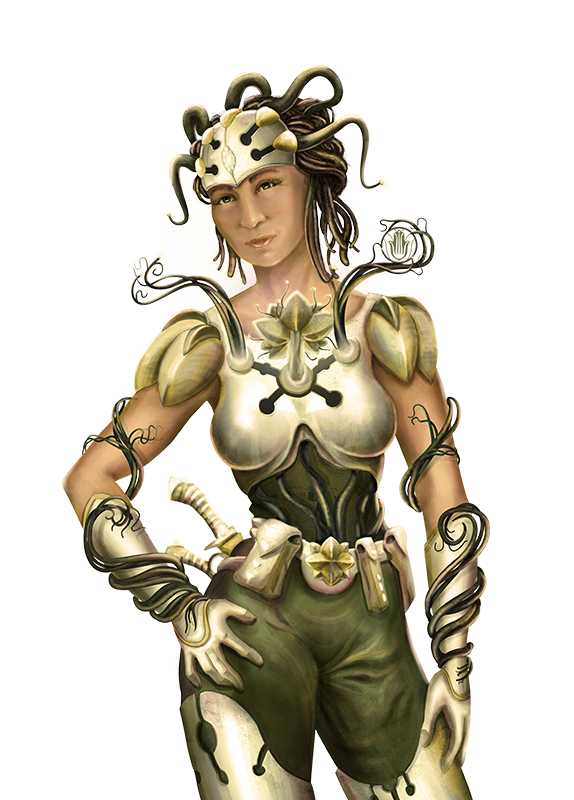 With specialized equipment and years of training, the Cultivators are able to temporarily connect with Talma in a perfect symbiosis, which allows them to control the vines as though they was part of their own body. Thanks to this technique, the Seeders’ speed, maneuverability and efficiency far exceeds what can be achieved with mechanical servos – much to the envy of the other Paths. As the population is constantly growing, death is by no means feared by the people of Wellspring. They accept it, and some even welcome it as a chance to truly become one with Nature. They believe that they all originate from the source of life, and by death they simply return to that source. In Wellspring, there is no market economy. Everyone receives a centrally determined share of goods, but citizens are free to exchange them among themselves. People of Wellspring only have a few personal belongings, and strive to consume the least energy possible. Their way of life is the complete opposite of Old Earth’s consumer society, an idea they deeply despise. The Path of Harmony is deeply shaken by the news of the asteroid’s approach. 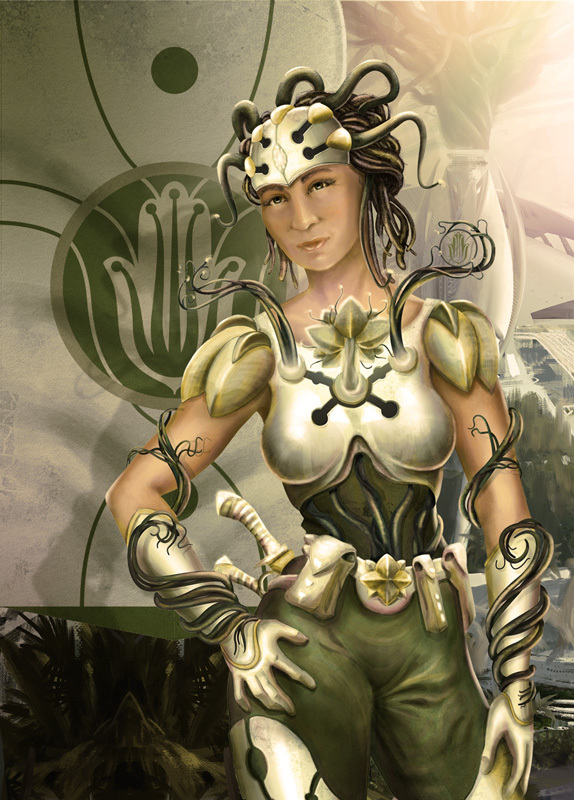 While they firmly believe that Wellspring has grown powerful enough by now and Talma will protect them from the blast wave, they are concerned for all life on the planet, not just their own – and therefore, they will do everything in their power to minimize the damage and save as many lives as possible. Zaida grew up in a seemingly perfect and happy family with loving parents and caring siblings. She was raised the way every child should be, and while she could never have imagined a better life, deep in her heart, she was not content. For as far as she could remember, she had always felt like something was missing from her life. So she began looking for the source of her unhappiness, which led her to eventually discover the truth about her origin - she was not the sweet child of her parents. Feeling betrayed, she left her home and set out to find answers about her origin. No matter how hard she tried, she never found a trace of her real parents, but her search eventually made her know and accept her true self, that was free and independent from her ancestors. She realized she does not have to fit to the expectations of neither her parents nor the society, and discovered her true strength: inspiring people. She was ready to forgive her foster parents and return home, when a mysterious encounter finally gave her the answer she had been looking for. As she was passing by the sanctuary built upon the sacred source of Wellspring, she felt a strange attraction to the woods that surrounded the holy place. When she entered the forest, she stumbled upon a huge, pulsating plant that she felt was calling out to her. As she was slowly approaching it, the feeling got stronger, and she somehow started to have thoughts that were not her own, as though the plant was communicating with her. The minute she touched the vines, she understood everything – the very soul of Wellspring reached out to her, and that moment she finally knew what she was destined to: leading the Path of Harmony. She was determined to fulfill her destiny, but had a long way ahead of her. She worked hard to become a candidate for the next election ceremony with the unshakeable confidence that she was Mother Earth’s chosen one. The ceremony didn’t go entirely as she expected. Though she was eventually elected the female leader of the Path of Harmony, her new partner, Patriarch Haulani didn’t seem to be someone she could get along with. She was ambitious, confident and had a natural charisma, while Haulani was more of a dreamer and an adventurer. As she knew it was her fate, she decided to take leadership into her own hands, by fighting for it if needed. Slowly she realized, however, that there was no need to fight – Haulani was indeed happy with her being in charge of Wellspring’s politics. Finally letting the competitive attitude go, over time she became a wise and fair leader of her people, with a natural talent of convincing people to join her cause. Today, Patriarch Haulani’s reputation overshadows that of any former male Leader of the Path of Harmony, but it hasn’t always been the case. He was chosen by Mother Earth as Patriarch at the incredibly young age of 16, making him the youngest Leader in the Path’s history, with the likewise young Matriarch Zaida by his side. As wisdom and life experience are among the most important virtues of the Path’s society, he had a long road ahead of him to earn his people’s respect. The first step on that long road, however, was getting along with the partner Mother Nature designated for him. Unlike Haulani, the 20-year old Zaida was full of ambition, with great plans of governing her people, accepting no contradiction. Young Haulani, on the other hand, had never really planned to become Patriarch. He dreamt of great adventures instead, discovering the Outback, and piloting a Seeder. That dream did not get completely out of reach the day he was chosen a Leader: piloting a Seeder was still an option for him as a Patriarch, though admittedly an unusual one. After having realized that he could not enforce his will against Zaida in politics (not that he really intended to), he began leading the Cultivators on exploration missions. As the years passed, the tough life on the Outback, sometimes months far away from Wellspring, hardened Haulani’s resolve. He showed remarkable courage and prowess on his missions, earning him more and more confidence in himself - and the utmost respect of his fellow Cultivators. 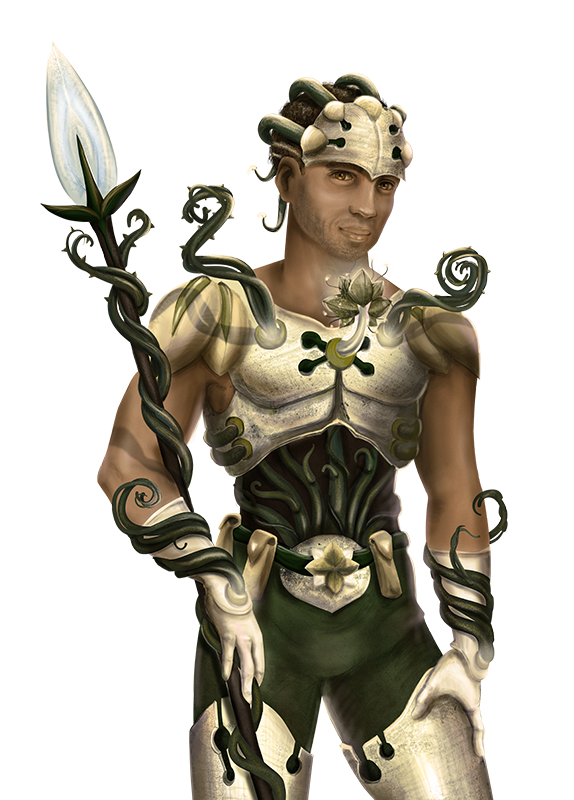 Thanks to their tireless work under Haulani’s command, Wellspring’s lush vegetation started spreading rapidly across the Outback, claiming more and more living space for the Path of Harmony. 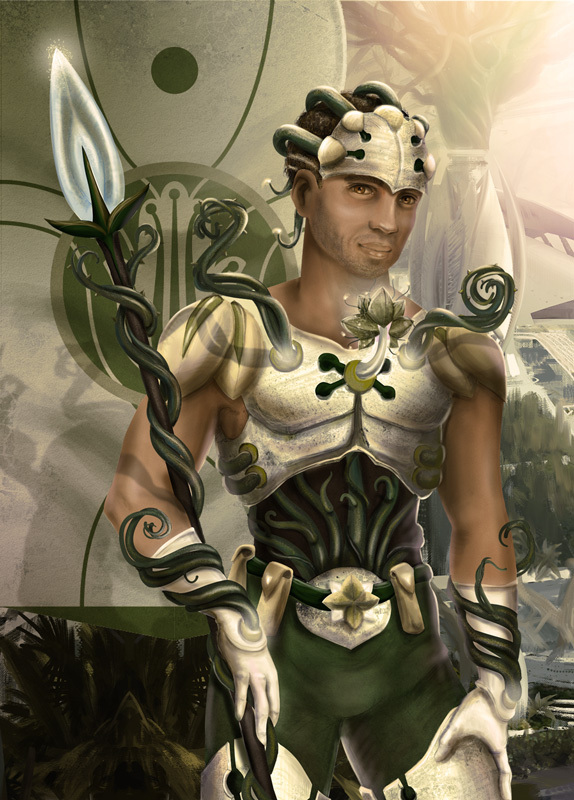 The stories of Haulani’s daring deeds were passed on to Wellspring, where he was regarded more and more as a hero. The change Haulani went through certainly did not go unnoticed to Matriarch Zaida either, and she slowly realized that she had underestimated the partner that was chosen for her. They started getting closer to each other, and Haulani became less and less willing to risk his life on the Outback. Today, Haulani’s days as a Cultivator are behind him, but he is still willing to take his Seeder for a ride every now and then. Haulani and Zaida are now leading the Path of Harmony in a perfect consensus, and they are just as good partners in leadership as in life - just as it was expected by the elders of Harmony, who knew right from the beginning that Mother Earth cannot be wrong. Get the latest updates from Mindclash Games!